Need to Find a Pet Emergency Hospital? Emergencies can be scary, stressful, and exhausting, but you and your pet will always have options for urgent care. Our hospital can accommodate emergencies during regular opening hours, but if we are closed, you need to contact a center that is available after-hours. 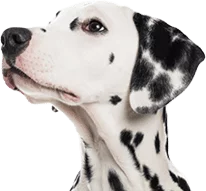 Monon Animal Hospital in Nora is connected to several specialty and emergency hospitals in the area so that if an emergency occurs, you can find prompt treatment for your pet. It is not always easy to tell if your pet is in urgent need of care. If your pet is having any of the problems listed below, then it’s time to take action. It is not always easy to tell if your pet is in urgent need of care. If your pet is having any of the problems listed above, then it’s time to take action.